Sandy is our hostess this week over on the Little Red Wagon challenge blog. This week the challenge theme is Christmas!! Anything you want to try? A cute little gift bag maybe? Or how about a cute gift tag? Or maybe a cute gift box? Let's see what you do. Just share it on the Little Red Wagon blog. Sandy will post her favorites next Tuesday. 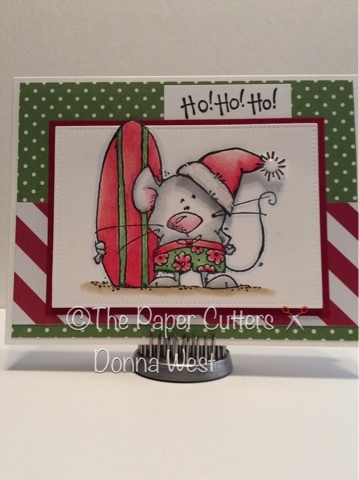 For my little card I decided this cute little summer stamp from Whipper Snapper Designs. It's called The Big Kahuna. I just knew he would make a cute Santa!!! I love him!! I have to send this Christmas card to my Brother in law and Sister in law. They love Hawaii and go there several times a year. They are going to love this!! 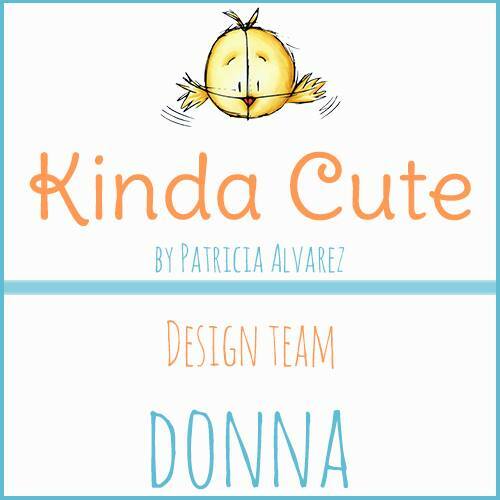 Donna this is so dang cute! Love it! Totally adorable! I absolutely love that stamp! Fantastic design too. This is one of my favorite (and go to) images for Chrismas. Love what you did with him! This is SO sweet!! How fabulous that you've already figured out where it's going too. I'm sure your brother-in-law and sister-in-law will love it!